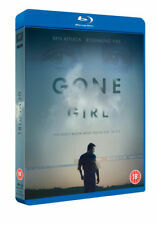 NEW & SEALED BLURAY 3D 2D DIGITAL DOWNLOAD. Cut off from everything they know, the team ventures into the domain of the mighty Kong, igniting the ultimate battle between man and nature. 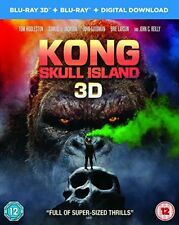 KONG SKULL ISLAND. Sicario DVD (2016) Emily BluntTitle: Sicario Leading Actor: Emily Blunt Region: Region 2 Duration: 121 mins Format: DVD / Normal Type: DVD No. Emily Blunt, Benicio del Toro and Josh Brolin star in this action thriller from director Denis Villeneuve. Spectre [Blu-ray] . Title:Spectre [Blu-ray] . All of our paper waste is recycled within the UK and turned into corrugated cardboard. Your item will be previously owned but still in great condition. Title: Fast And Furious 8 Dvd. Format: DVD. Condition: New. Catalogue Number: 8311524. Get Out DVD (2017) Allison WilliamsTitle: Get Out Leading Actor: Allison Williams Region: Region 2,4,5 Duration: 100 mins Format: DVD / Normal Type: DVD No. of Discs: 1 disc(s) Studio / Publisher: Universal Pictures UK Release Date: 24 Jul 2017 Edition: Normal. Inferno [DVD] . Title:Inferno [DVD] . All of our paper waste is recycled within the UK and turned into corrugated cardboard. Your item will be previously owned but still in great condition. Can David defy destiny in order to be with the only woman he has ever loved?. 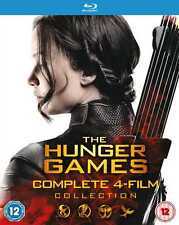 of Discs: 1 disc(s) Studio / Publisher: Universal Pictures UK Release Date: 03 Aug 2011 Edition: Normal. The episodes are: 'Pilot', 'Lucifer, Stay. Good Devil', 'The Would-Be Prince of Darkness', 'Manly Whatnots', 'Sweet Kicks', 'Favorite Son', 'Wingman', 'Et Tu, Doctor?'. Lucifer: The Complete First Season DVD (2016) Tom EllisTitle: Lucifer: The Complete First Season Leading Actor: Tom Ellis Region: Region 2 Duration: 753 mins Format: DVD / Normal Type: DVD No. London Has Fallen [DVD]  - DISC ONLY, does not include case or cover. Jack Ryan: Shadow Recruit DVD (2014) Chris PineTitle: Jack Ryan: Shadow Recruit Leading Actor: Chris Pine Region: Region 2 Duration: 105 mins Format: DVD / Normal Type: DVD No. of Discs: 1 disc(s) Studio / Publisher: Universal Pictures UK Release Date: 02 Jun 2014 Edition: Normal. Deadpool DVD 2016. Condition is Like New. Dispatched with Royal Mail 2nd Class Large Letter. Action thriller sequel to 'Taken' (2008) and 'Taken 2' (2012) starring Liam Neeson and Famke Janssen. The cast also includes Dougray Scott, Maggie Grace and Jon Gries. Taken 3 Blu-Ray (2015) Liam NeesonTitle: Taken 3 Leading Actor: Liam Neeson Region: Region B Duration: 109 mins Format: Blu-ray / with UltraViolet Copy Type: Blu-ray No. The survival of mankind hangs in the balance as Director Phil Coulson and his Agents battle an otherworldly evil. Devastated by the apparent loss of Jemma Simmons, Leo Fitz risks everything to rescue her. Jurassic World [Blu-ray]  [Region Free]. Title:Jurassic World [Blu-ray]  [Region Free]. All of our paper waste is recycled within the UK and turned into corrugated cardboard. We want your experience with World of Books Ltd to be enjoyable and problem free. Although Alex believes she has been enlisted to steal a bag of diamonds she has in fact been hired by a senator (Freeman) to recover a hidden USB stick. We also sponsor a local youth football team. Sci-fi action sequel starring Liam Hemsworth, Jeff Goldbum and Bill Pullman. Two decades after the alien attack on planet Earth, the world has pooled together to form Earth Space Defence (ESD), a global organisation designed to protect the planet from any further attacks.